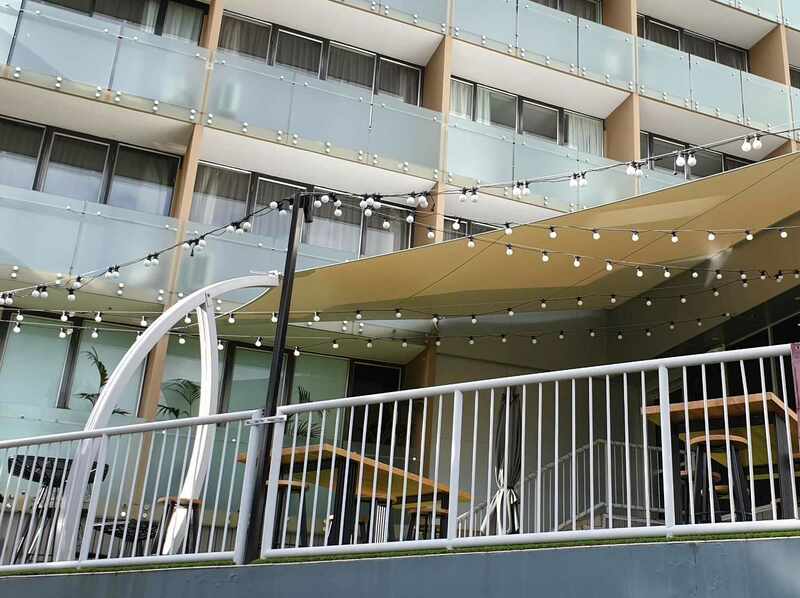 Modiform have recently completed a weather-proof shade sail solution for the park hotel’s outdoor events as part of their extensive upgrade. 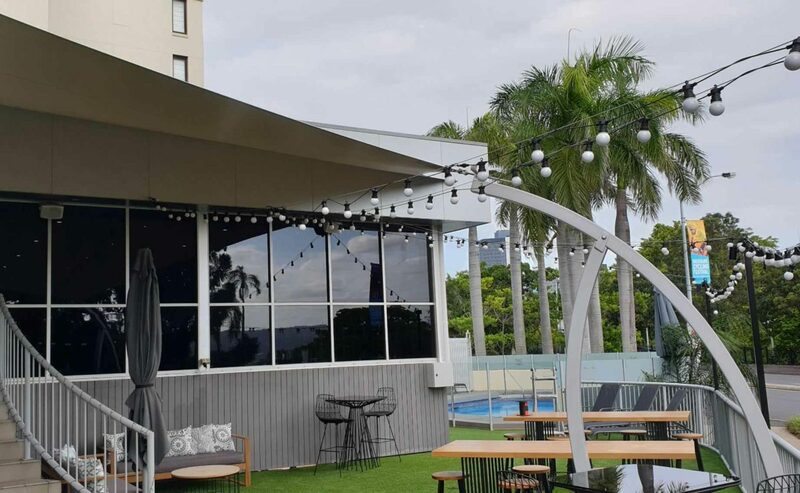 With its beautiful facilities and unbeatable inner-city location, the Park Hotel’s guests can now enjoy their outdoor events space all year round. 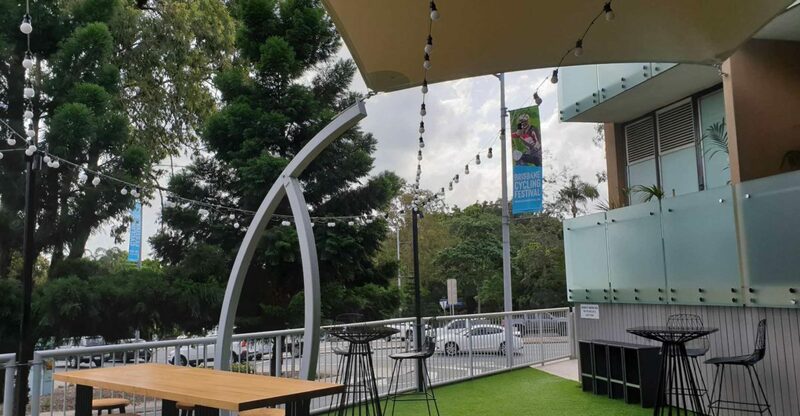 Construction: Steel Laser-Cut Base Plates, Powdercoated with Concrete Free Pile Cap Footing Systems And Custom Fabricated Steel Curved Columns and PVC Membrane Fixed In Place. 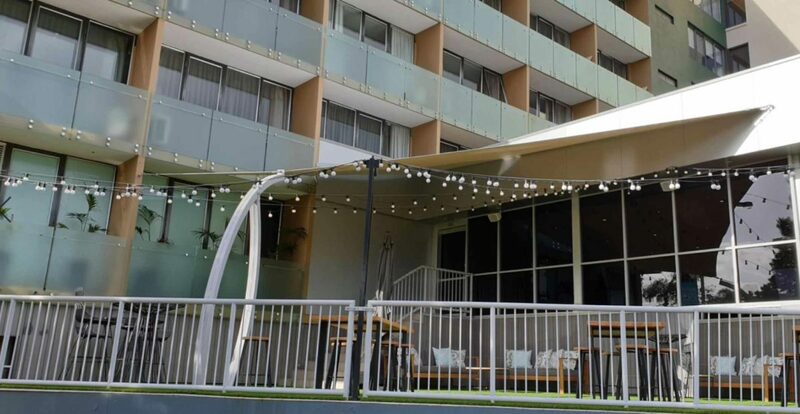 For a relaxed outdoor occasion, Modiform covered The Park Hotel’s Two Terraces. 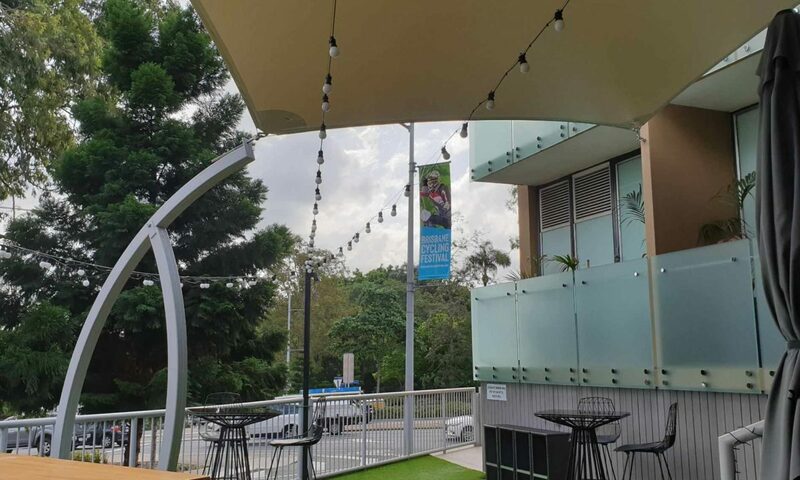 Featuring a private portable bar and a capacity of up to 80 guests, this is a fantastic venue for cocktail parties and other boutique events. Our favourite feature of this project would have to be the custom designed curved post that allows the waterproof shade sail to splay from a single origin point and seamlessly fix with the existing architecture of the builder. 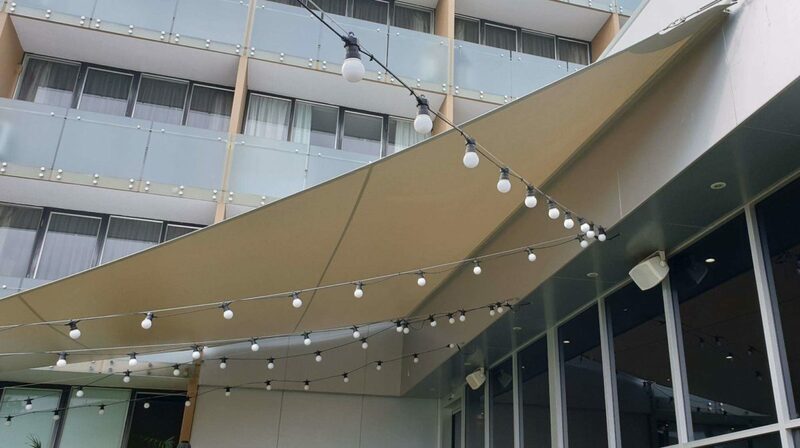 Thanks to Rydges for another great project collaboration.